Terms Regarding the Handling of Personal Information Registered for Inquiries | Development, Production and Sales of touch panels | SHOEI CO., LTD. Please confirm the following “Terms Regarding the Handling of Personal Information” and please press the “agree” button if you read and agree to the terms. Please press the “disagree” button if you read and disagree to the terms. Personal information is information about an individual which can identify the specific individual by name, date of birth, or other descriptions contained in such information (including such information as will allow easy reference to other information and thereby enable the identification of the specific individual). A registrant is a person who, after having agreed to the Terms, uses the inquiry form to enter and send their personal information. 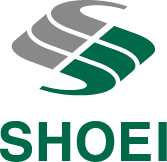 SHOEI CO., LTD. (“the Company,” hereafter) takes necessary and appropriate measures within a reasonable scope to prevent the leaking, falsification, loss, destruction, etc. of the personal information of registrants. The viewing of a registrant’s personal information is limited to those authorized by the Company. The Company will acquire personal information within the necessary scope for the purpose of responding to inquiries submitted using the inquiry form provided on the Company website. Except in the following cases, the Company will not disclose a registrant’s personal information to a third party or use the information for any purpose other than that described in the preceding item without obtaining the consent of the registrant in question. The Company may entrust tasks related to the management of personal information to a third party which the Company has deemed capable of adequately meeting its standards for the protection of personal information. In such cases, the Company will carry out necessary and appropriate supervision of the contractor to ensure that the personal information is being managed safely. The Company acquires information for the purpose described in Item 4, and if a registrant does not enter information in each of the required fields on the inquiry form, the Company may not be able to respond to the inquiry. When there is a request from a registrant to disclose, amend, add, or delete their personal information, the Company will respond without delay. If a registrant wishes to amend the personal information provided using the inquiry form, the Company will accept amendments by having the registrant re-submit the latest personal information reflecting the amendments using the inquiry form. Please direct inquiries concerning the disclosure, amendment, deletion, etc. of personal information to the following department. Contact：Sales Administration Department, Tokyo Headquarters, SHOEI CO., LTD. The Company may amend the Terms as needed without obtaining the prior consent of registrants.